Oprah Winfrey along with Paul Rudd and Matt Damon, visited The Late Show With David Letterman today in New York City. 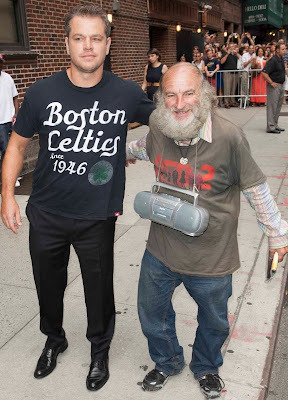 Famed NYC native Radio Man also was working the stage doors. New York City becomes host to the Empire Dance Championships, an inaugural world-class dancesport competition and showcase of ballroom and latin dancers from North America and around the world, to be held at the Conrad New York hotel in lower Manhattan, with a formal Grand Opening Gala event on Wednesday evening, Aug. 7 and the dance competitions beginning Thursday morning, Aug. 8 through Saturday evening, Aug. 10. The Grand Opening Gala on Wed., Aug. 7 will feature the latest dance works of internationally acclaimed, Chinese-born American choreographer and director Shen Wei, whose New York City-based Shen Wei Dance Arts will perform for the first time at a ballroom dance cultural event. Having performed in more than 30 countries, 130 cities and best remembered for his magnificent choreography at the 2008 Beijing Olympics opening ceremonies, Shen Wei promises a unique and memorable adaptation by its top dancers for the ballroom dance audiences. The new August 12th issue of Us Weekly on stands now has Kate Middleton and Prince William gracing the cover and recaps the couple’s first week as parents to future king George. Kate, Will and baby are currently spending their time in Kensington entertaining family members including Queen Elizabeth II. The new parents plan to give Prince George as ordinary an upbringing as possible and have become hands-on caretakers with a blissful routine: Wake up, tend to George, eat, repeat. “Will and Kate are so desperate to live normal lives,” a family friend tells Us. “William wants to raise George out of the spotlight as much as possible and give him somewhat of a normal childhood.” Special sidebars connected to the cover story recap new Uncle Harry and details from Kensington’s former chef about what the baby’s first post-milk menus will be. It was a night to celebrate Forevermark’s passion for promises at the World Premiere of a Pas De Deux choreographed by Liam Scarlett and performed by Principal Dancers from The Royal Ballet. On site was a selection of the world’s most exquisite diamonds, the Forevermark Exceptional Diamond Collection. As the diamond brand from the De Beers group of companies, Forevermark benefits from 125 years of leadership in the diamond industry and partners with artists like Liam Scarlett, an expert in his field, as well as New York City Ballet’s New Combinations Fund, which supports the creation and presentation of new choreography. Trump Taj Mahal Presents the Up In Smoke Tour, featuring Cheech & Chong and WAR, in the Arena on Saturday, August 17, 2013. Show time is at 8pm. Ticket prices are $58, $29 & $19. 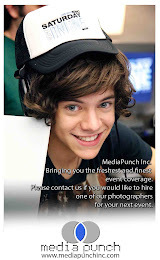 Tickets can be obtained by either calling Ticketmaster at 1-800-736-1420 or on line at www.ticketmaster.com. Successful beyond their wildest dreams, the iconic comedy duo Cheech & Chong defined an era with their hilariously irreverent, satirical, counter-culture, no-holds-barred comedy routines. 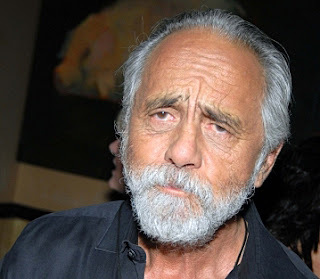 Cheech Marin and Tommy Chong’s phenomenal success began on the stand up comedy circuit which led to 9 hit comedy albums and 8 hit films, breaking box office records, shattering comedy album sales, garnering multiple Grammy nominations and mesmerizing fans for more than a decade. For more information, visit http://www.cheechandchong.com. Candice Accola, star of the hit television show The Vampire Diaries, is helping the Tick-Borne Disease Alliance (TBDA), a national nonprofit organization dedicated to raising awareness, supporting initiatives and promoting advocacy to find a cure for Lyme and other tick-borne diseases, launch Bite Back for a Cure, a national grassroots campaign to build support for the fight against the devastating impact of tick-borne diseases. Bite Back for a Cure has two elements - an online campaign and a national bike ride. The online campaign, led by Accola, will accumulate over time "a national video quilt" of individual statements by those affected by tick-borne diseases and their friends and families. This "video quilt" will be sent to state and federal legislators, encouraging them to support Lyme-disease legislation. 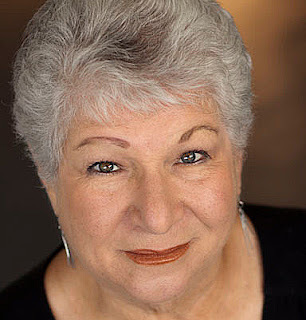 Film & TV veteran Bryna Weiss is joining the cast of DANCING ON NAILS, a new play by Paul Manuel Kane, for the final two performances tonight at Theatre 80. She is replacing Lauren Klein (in the role of Luba Fogel) who had a prearranged departure after the July 24th opening to star as Linda Loman in the Denver Center Theatre Company production of Death of a Salesman, which is set to open next month. Under the direction of Allen Lewis Rickman, the cast of DANCING ON NAILS also features Peter Van Wagner (Isaac Ginsburg on HBO’s “Boardwalk Empire”), Lori Wilner (FIDDLER ON THE ROOF, THE DIARY OF ANNE FRANK), Michael Lewis (THE YOUNG MAN FROM ATLANTA, "Blue Bloods"), and Jazmyn Richardson (“Party at Micah’s”). CHEAP TRICK may be one of the most covered bands of all time. Since the 70s they’ve been blending elements of pop, punk and even metal in a way that is instantly catchy and recognizable. With timeless classics such as “I Want You to Want Me,” “Surrender,” and “The Flame,” CHEAP TRICK are a musical institution. Anyone familiar with Comedy Central’s The Colbert Report will note that CHEAP TRICK wrote and performed the theme song. 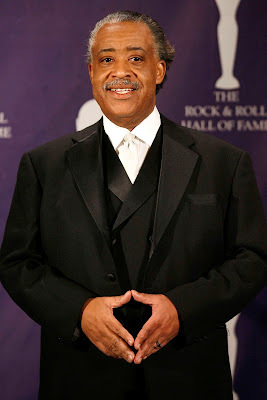 With more than 5,000 performances, 20 million records sold, 29 movie soundtracks and 40 gold and platinum recording awards, the band was honored in October 2007 by the Chicago Chapter of NARAS (National Academy of Recording Arts & Sciences) for their contributions to the music industry. 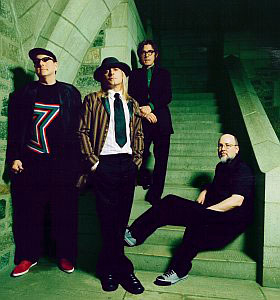 CHEAP TRICK were featured in the John Varvatos Spring 2008 ad campaign. BROADWAY NEW YORK and BROADWAY BABY, two theatre shops located in the Marriott Marquis Hotel, will close on September 30th, 2013, according to Julian Rubin. 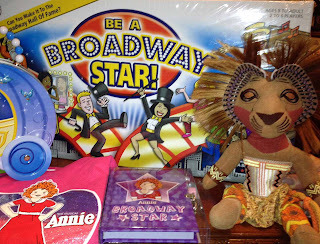 For more information about THEATRE CIRCLE and ONE SHUBERT ALLEY call (212) 391-7075 or visit www.theatrecircleshop.com. Maintaining its long-standing tradition of supporting HIV/AIDS charities, Kiehl’s Since 1851, the venerable New York-based purveyor of fine quality skin and hair care, is pleased to announce its continued partnership with amfAR, The Foundation for AIDS Research, and the fourth annual Kiehl’s LifeRide for amfAR. HIV/AIDS awareness has long been at the forefront of Kiehl’s philanthropic efforts, and through partnerships with organizations like amfAR, as well as the Magic Johnson AIDS Foundation, and YouthAIDS, Kiehl’s has proudly donated more than $2,500,000 for the cause. With the mission to heighten awareness, and raise funds for amfAR, the company is embarking on the fourth annual Kiehl’s LifeRide for amfAR, a multi-day, multi-stop charity motorcycle ride taking place July 31 – August 8, 2013, through the Pacific Northwest. The stars came out in force for the 'Elysium' New York screening at the Sunshine Landmark in New York City. SANTANA-McLAUGHLIN --- Eagle Rock Entertainment is releasing Invitation To Illumination – Live At Montreux 2011, featuring the guitar talents of Carlos Santana and John McLaughlin. Almost all of the track from their classic 1973 album Love Devotion Surrender are included on the disc. Also featured is the late Claude Nobs, founder of the Montreux Jazz Festival, playing harmonica on the final track. Nikki and Brie Bella Visit the NBC Experience Store promoting their new reality show, Total Divas the other day in New York City. Actress Lily Collins shines on the September cover of Seventeen magazine. The issue hits newsstands, August 6th. In the interview, Collins, who stars in the highly anticipated movie, The Mortal Instruments opens up how she’s been inspired by Twilight’s Kristen Stewart and The Hunger Games’ Jennifer Lawrence, who shot to fame after starring in major franchises based on popular book series. I’ve definitely edged-up my style a little but not for any reason other than I’m experimenting with myself. I always wanted tattoos, so this past November, I got two. I got my back done first its my handwriting and it says, Love always and forever. Mario Lopez and his family spent the day at the LYFE Kitchen beach house powered by Kia where Sabra hummus and snacks were served. Mario spent the day at the beach with his friends and family including his VERY pregnant wife Courtney and their gorgeous almost 3 year old daughter Gia. Lopez is celebrating a successful run both personally and professionally with his show on NUVO being picked up, X Factor starting up again, his family expanding etc. 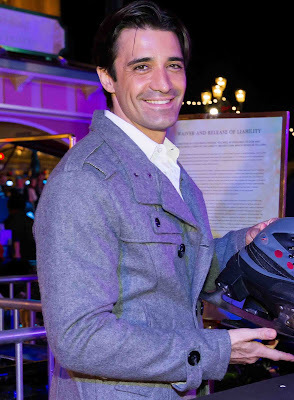 He was joined by friends and crew members from EXTRA as well as his dad (Mario Sr), and relationship expert Steve Santagati. Mario and his friends (most of whom brought their kids as well) spent the day on the beach playing in the sand, boogie boarding and puffing on cigars (when the kids weren't around). JAMES GANDOLFINI'S LAST FILM "ENOUGH SAID"
A divorced and single parent, Eva (Julia Louis Dreyfus) spends her days enjoying work as a masseuse but dreading her daughter's impending departure for college. She meets Albert (James Gandolfini) - a sweet, funny and like-minded man also facing an empty nest. As their romance quickly blossoms, Eva befriends Marianne (Catherine Keener), her new massage client. Marianne is a beautiful poet who seems "almost perfect" except for one prominent quality: she rags on her ex-husband way too much. Suddenly, Eva finds herself doubting her own relationship with Albert as she learns the truth about Marianne's Ex. ENOUGH SAID is a sharp, insightful comedy that humorously explores the mess that often comes with getting involved again. STAR STUDDED NEW YORK PREMIERE OF "2 GUNS"
Mark Wahlberg along with James Marsden and many others, attended the '2 Guns' New York Premiere at the famed SVA Theater in New York City. 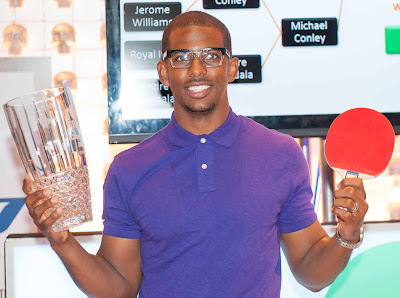 Chris Paul hosted the first TopSpin Charity Ping Pong Tournament during Carnevale at The Palazzo Las Vegas. Along with partner Fiji Water, the five diamond resort presented a head-to-head ping pong tournament that included basketball stars Chris Paul, Alan Anderson, Al-Farouq Aminu, Michael Conley, Jerome Williams, Royal Ivey, Andre Igoudala, Kyrie Irving, Greg Oden, Jerry Stackhouse, Al Harrington, Tyronn Lue, Roger Mason, Sebastien Telfair, and Kenny Smith. Fans crowded the ping pong table to cheer on their favorite star during the tournament. After four rounds of intense action, Chris Paul and Roger Mason were left to battle it out for the championship. Chris Paul emerged victorious and was presented with the crystal TopSpin Las Vegas trophy. "I'm taking this to the club," Paul exclaimed hoisting the trophy in the air while fans cheered. This weekend celebrated David Spade's 100th Show. Prior to his stand-up comedy show kicking off in The Sands Showroom, David Spade was surprised with a three-tired cake to celebrate his 100th show at The Venetian Las Vegas. 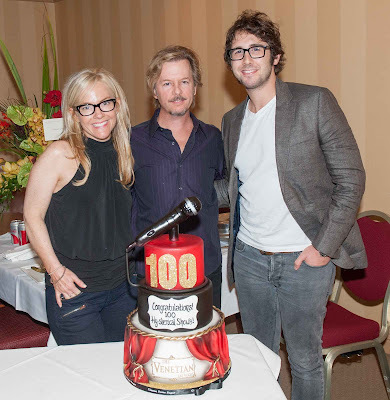 Singer Josh Groban, and actress and comedian Rachael Harris joined Spade to celebrate before his Friday's performance. Joining Marie Osmond for the Caesars Atlantic City engagement will be long-time friend of the show, John Schneider, and her nephew David Osmond. Osmond and Friends kick-off their Atlantic City stint on Monday, July 29 at 7pm in the Circus Maximus Theater. Tickets, which are still available, can be purchased online at www.ticketmaster.com or at the Caesars Circus Maximus Box Office. Doors for all shows will open one hour prior to concert start. Any refunds will be given at point of purchase. FACE OFF --- Whatever happened to the summer-replacement show Sing Your Face Off? In May, ABC announced that it would appear sometime this summer. With host John Barrowman, and judges Debbie Gibson, Darell Hammond and (just-added) Ru Paul. It sounded as random as any reality show, yet promised some intrigue, as the actual contestants were the stars themselves, with comedian Jon Lovitz immediately mentioned as one of the first entrees. Six episodes have already been shot, but when we called ABC we were given the proverbial cold shoulder. Usually this means what was shot … stinks! We'll see what happens. 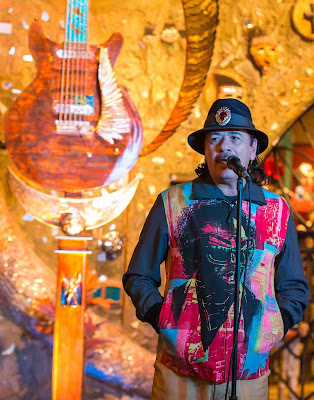 Smokey Jones along with Nicky Hilton, Hannah Bronfman and others, attended M Missoni is for Music Summer Event at Le Bain & Rooftop at The Standard the other day in New York City.